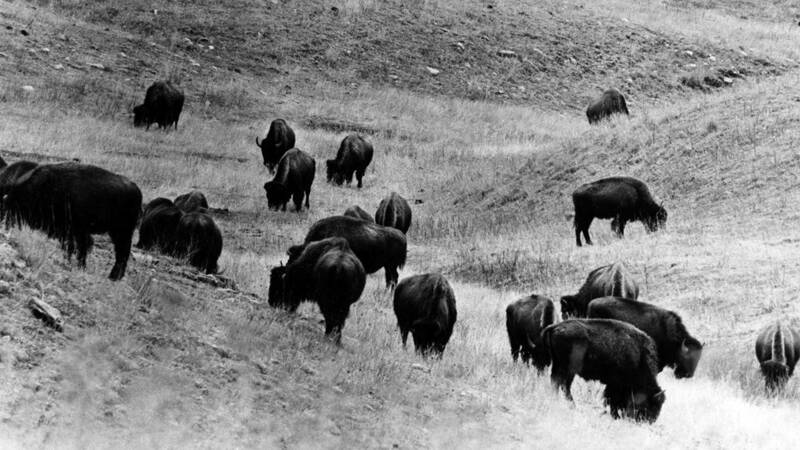 Bison grazing in Custer State Park - 1970s. Image courtesy: Custer State Park. 2019 is a special year for South Dakota and the Black Hills. This is the 100th year of Custer State Park’s existence. 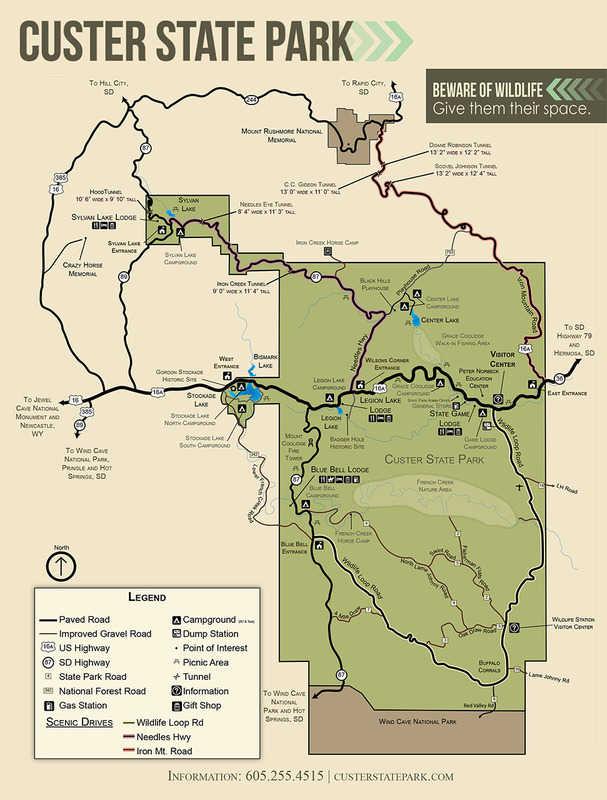 In addition to the beauty and natural resources unmatched anywhere in the world, Custer State Park boasts of having one of the most widely diverse wildlife ecosystems in existence. Western Bluebird. Courtesy: Birdteach, Kelly Preheim. 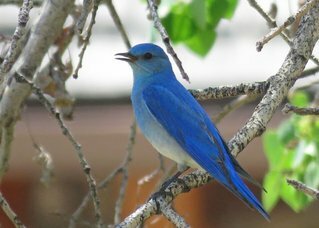 The hundreds of thousands of people who annually visit this extraordinary park in the Black Hills, are surprised at the wide variety of birds in the Park. Literally dozens of bird species populate every part of the Park. Chipmunk. Photo by Michael Zimny. Small mammals are also abundant. 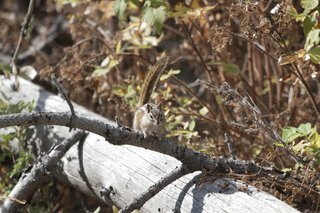 Squirrels, chipmunks, beaver and many other species populate the park. But it is the majestic buffalo that exemplifies thePark’swildlife population. 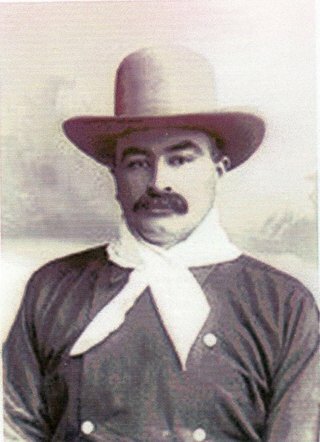 Scotty Philip, a South Dakota rancher who also tended buffalo, donated the first herd to Custer State Park in 1914. 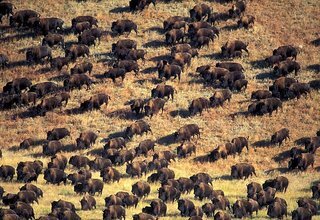 The Park received three dozen buffalo: 6 bulls, 18 cows and 12 calves. The herd has at times been as large as 2500 animals. The 2018-2019 population is estimated at 1300. The buffalo freely roam the prairie and forests within the Park's boundaries. A buffalo roundup event is held each September and draws thousands of visitors to witness this unique herd management practice. Image courtesy: Custer State Park. Another animal native to South Dakota and the Black Hills still lives in the Park. 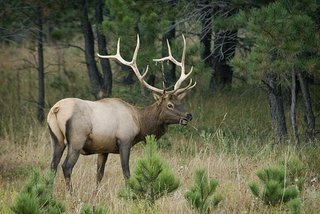 Elk were once abundant in the southern Black Hills but, like the buffalo, their numbers declined due to hunting during the late 19th century. In 1911 two dozen elk were re-introduced onto land that is now the park - and their descendants still thrive to this day. The pronghorn antelope is also native to South Dakota. Management of these animals in the park began in 1916 and today's Custer State Park visitors can see them daily. They too graze freely within the park's boundaries - while keeping a watchful eye on all that surrounds them. One beautiful animal that was not native to the Park or the Black Hills is the Big Horn Sheep. 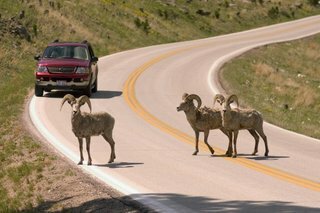 In 1922, just three years after the Park was formed, eight of these sheep were transplanted into Custer State Park and their descendants have thrived successfully for nearly one hundred years. In 1924, another transplant of sorts was brought to the Park. Six mountain goats escaped from the Park’s small wildlife zoo and began roaming freely inside the Park. 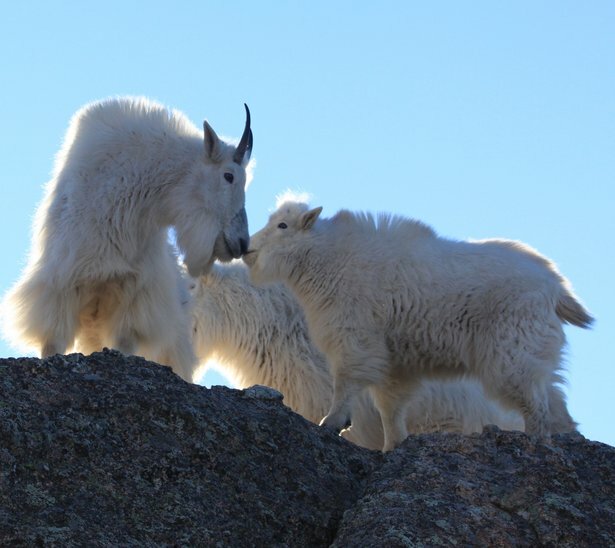 The goats found the surroundings comfortable, and today over 400 mountain goats descended from that original half-dozen escapees populate the park. And finally, the newcomers to thePark: The famous Begging Burros have found their way into the hearts of Custer State Park visitors. The burros are descended from pack animals used by miners and others working in the Black Hills beginning in the mid-1870s. 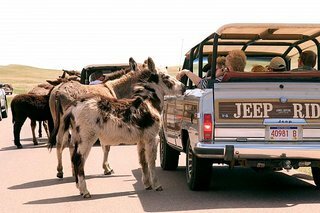 Today, motorists who stop at certain locations on the Park's Wildlife Loop Road will likely have a close-up encounter with the burros. The popular animals beg their way into the hearts of all, especially children. Forest Service photo via Black Hills Knowledge Network. 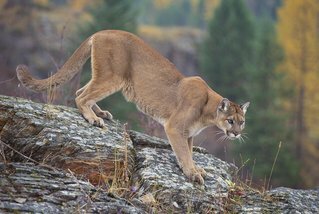 There is no record of when the first mountain lion came into the park because they have always been there. Casual visitors will probably not see one of these stealthy animals because they are shy and generally keep to themselves in the more remote areas of the park. But just knowing they are there is enough.